The festival sector experienced a tremendous growth period between 2000 and 2011. As a result, festivals are now popularly regarded almost as a ‘rite of passage’ for young people in the twenty-first century. June: Gatecrashers overrun Glastonbury by knocking down the fences. Pet Shop Boys and David Bowie perform. 2001 is a fallow year, but this period sees Glastonbury go into partnership with Mean Fiddler (now Festival Republic) to improve security to the site via a ‘ring of steel fence’. August: SFX Entertainment, owner of British live music companies including the Apollo Leisure Group, Midland Concert Promotions, and the Barry Clayman Corporation is bought by multi-national US corporation Clear Channel, owner of advertising hoardings and radio stations in the US and UK – this is the same Clear Channel which banned the Dixie Chicks from its radio stations for a remark made about then president, George W Bush. 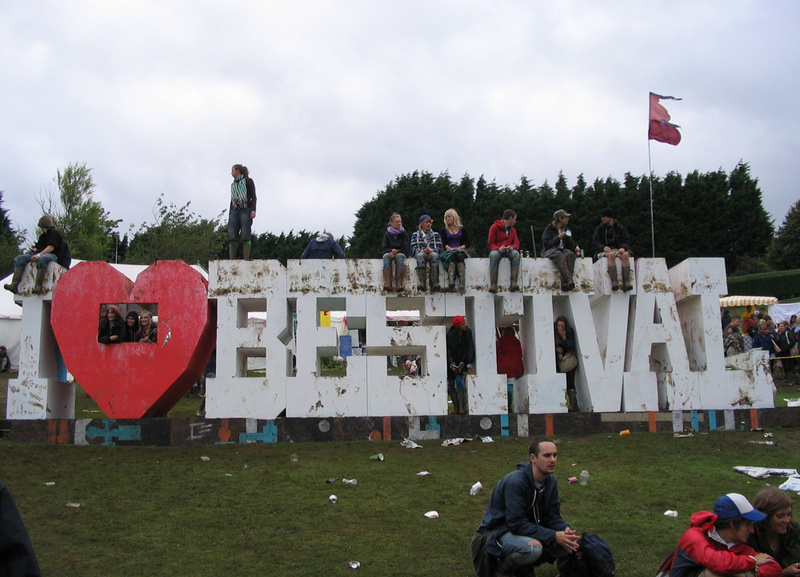 June: The Isle of Wight festival is revived in 2002 by John Giddings of Solo Music Agency and promotions. The Isle of Wight Festival was originally organised by the Foulk brothers under the company name of Fiery Creations Limited; they organised three festivals in total between 1968 and 1970, the latter year experiencing clashes with gatecrashers which lead to the Isle of Wight County Council Act 1971, banning gatherings over 5,000 people. 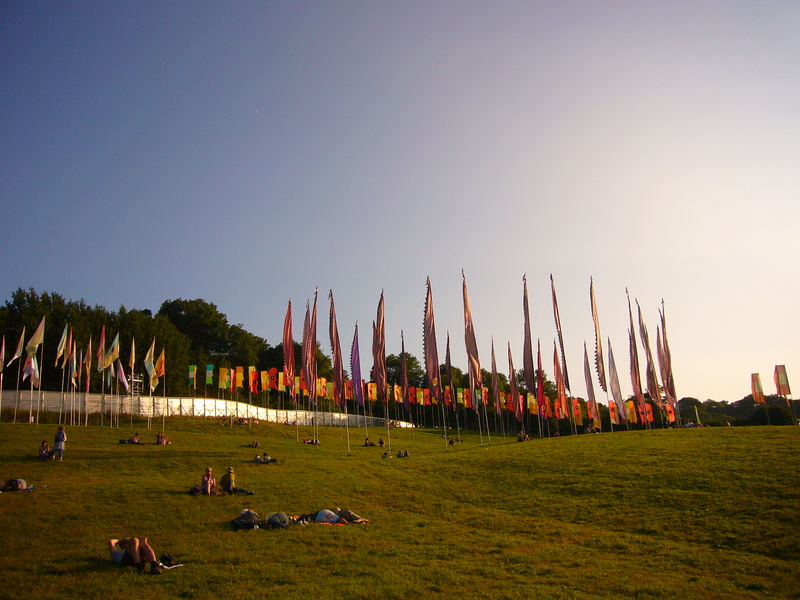 There is no connection with the original festival other than the name and the fact that they all took or take place on the Isle of Wight; the current venue – Seaclose Park – is different to the venues used for the original festival (Godshill, Wootton and Afton Down). June: Glastonbury returns, this time with increased security. Coldplay headline and Rolf Harris and Isaac Hayes also perform. The Lost Vagueness area is a new feature of the festival. August: Leeds Festival is marred by violence and a death, which later leads to problems regaining its licence (BBC). April: Tickets sell out in under 24 hours making this year the fastest selling Glastonbury Festival. June: Glastonbury acts include Love with Arthur Lee, Damien Rice, De la Soul, Flaming Lips, Jimmy Cliff, Moby, Radiohead, and REM. February: Social media site Facebook is set up – social media plays a role in the rise of festivals, allowing promoters to engage fans in new ways. June: Paul McCartney headlines Glastonbury. English National Opera also perform: ‘91 musicians and 11 soloists woke late-sleepers on Sunday lunchtime, beneath gathering storm clouds, by tearing into Wagner’s ’Ride of the Valkyries’, encouraged by a muddy mass using rolled up newspapers as horns’ (The Telegraph). August/September: Green Man (August) and Bestival (September) start a trend towards ‘boutique’ festivals which are ‘wildly diverse, featuring literary tents, science fields, festival-wide fancy-dress parades, secret treats and smaller, quirkier crowds’ (The Guardian). Clear Channel’s live music business spins off into a live music focused company, Live Nation, later to merge with Ticketmaster to become the largest entertainment company in the world, and which is involved with a number of UK festivals including Reading, Leeds and Latitude. February: T in the Park sells out in ten minutes before any acts had been announced; Simon Frith has suggested this indicates is that ‘what is valuable for the festival audience is not the live performance of a particular group for its particular fans, but ‘live performance’ as a kind of abstract ideal’ (2007, p. 9). March: Social media site Twitter is set up, allowing festival promoters and artists another new form of direct communication with fans. July: Latitude starts, featuring Snow Patrol, Mogwai and Antony and the Johnsons, and further broadening the concept of a festival away from purely music to include cabaret, comedy, film, literature, theatre, and poetry. 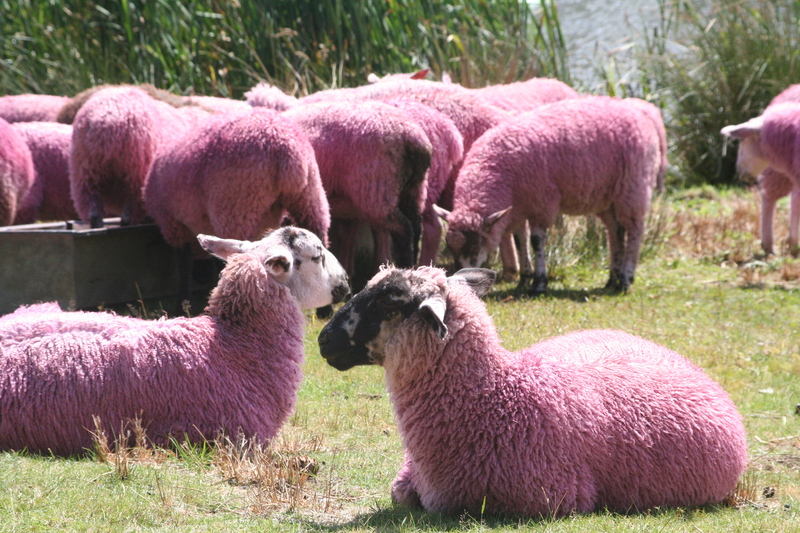 Dyed sheep become a feature of the festival. September: Boutique festival End of the Road starts, headlined by Josh Ritter, Badly Drawn Boy, and Ryan Adams. October: LN-Gaiety Holdings Limited, a joint venture between Live Nation and Denis Desmond, Ireland’s biggest promoter, is formed from Hamsard 2786 Limited. 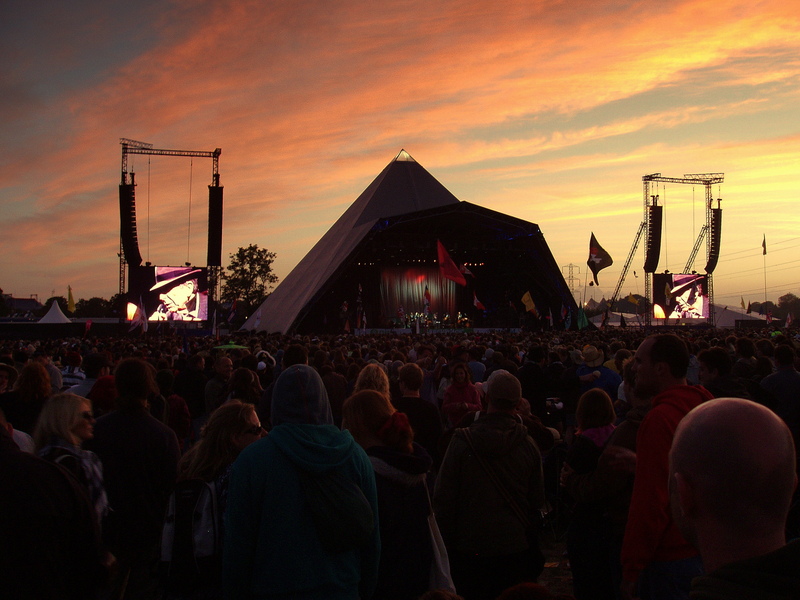 April: A 2007 report by Mendip District Council reveals that Glastonbury Festival impacts on the worldwide economy to the tune of more than £73 million per year. June: Another muddy Glastonbury year. First headline set by Arctic Monkeys. The Who, Amy Winehouse, Bjork, and Shirley Bassey also perform. April: Live Nation acquire a 78.3% interest in DFC Holdings Limited, or DF Concerts, through a joint venture with Gaiety Investments. It owns 50.1% of the joint venture with Gaiety Investments. DF Concerts is a leading concert promotion company in Scotland and promotes the most successful popular music festival in Scotland, T in the Park. June: Jay-Z headlines Glastonbury, in what is considered by many to be one of the best weekends in the festival’s history. Noel Gallagher is the most famous critic in 2008, saying, ‘Glastonbury has a tradition of guitar music… I’m not having hip-hop at Glastonbury. It’s wrong’ (The Guardian). For the first time in many years, the tickets don’t sell out immediately. Leonard Cohen steals the entire weekend “in dapper style, leading the crowd in an astonishing chorus of ‘Hallelujah’, and performing a taut set of his greatest hits as the sun went down” on the Festival’s final day. August: The Association of Independent Festivals (AIF) is founded by Rob Da Bank (Bestival) and his Manager Ben Turner (Graphite Media), following a meeting of founder festivals in Sheffield. Members in year 1 are Beautiful Days, Belladrum, Bestival, Big Chill, Bloom Festival, Cornbury, Creamfields, Electric Picnic, Evolution, Field Day, Glade Festival, Larmer Tree, Secret Garden Party, Shambala, Summer Sundae, Underage Festival, and Womad. August: A report by PRS for Music shows that revenue from live music overtakes that of recorded music for the first time. September: Global economic crisis begins with the collapse of the Lehman Brothers investment bank. August: Lady Gaga is booed booed before and after her V Festival Stafford performance after arriving late onstage (NME). Membership of AIF: Belladrum, Bestival, Big Chill, Bloom, Cornbury, Creamfields, Evolution, Field Day, Glade, Larmer Tree, Secret Garden Party, Shambala, SW4, Underage Festival, Womad.